Contacting the Cornish Pirates this week, Lesley-Ann Simpson, Charity Director for The Chestnut Appeal for Men’s Health, expressed thanks once again for support given to help provide Cornwall with the most up to date Ultrasound-MRi Fusion for Targeted Diagnosis of Prostate Cancer in the region. We are humbled by the generosity shown by our supporters whose voluntary donations to charities make a huge difference to people’s lives. What I think is great about The Chestnut Appeal is that donors can see what their fundraising efforts can do and we are so very grateful for all the help we receive in the community, YOU really do make a difference! Without help we wouldn’t be able to provide state of the art equipment, support nurses or raise awareness of this most common cancer in men, so thank you very much. This fundraising campaign has meant that we are now able to provide the very latest in diagnostic equipment for faster diagnosis of prostate cancer in Cornwall. At a cost of £111,000 Ultrasound-MRi Fusion really is state of the art. The device provides precise targeting and the best possible prostate biopsy currently available. Whether for a first biopsy or as a repeat biopsy, patients have a greater peace of mind knowing that the chance of detecting significant prostate cancer is maximised whilst minimising the risk of false negative results. 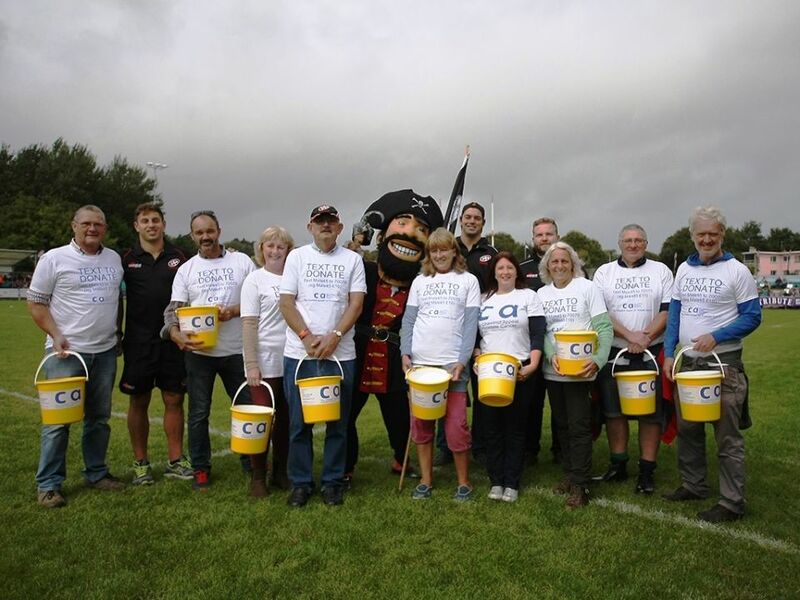 The Chestnut Appeal was the Cornish Pirates chosen charity last season, during which the sum of £1690-38 was raised. To all supporters, thanks once again for your kindness #PiratesFamily.